This article assumes you have setup your Velpic to Stems Integration. If you are only interested in importing Stems users into Velpic from a CSV then you can skip to the end where the import steps are. 1. Log into Stems then go to Human Resources > HR Reports. 2. Using the filters, select the users you want to export for example you may only want to export users that are still employed. 3. Select the columns you wish to export by right clicking on the columns then selecting columns under the columns menu item. You can also export everything and remove them later. 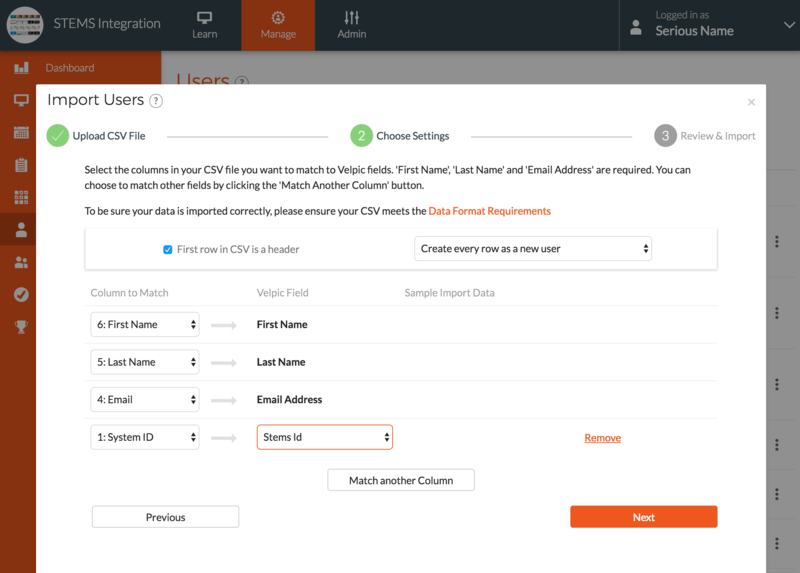 You will need to export at least the System Id, fullname and email for Velpic but you may also want to include employee number or a phone number. You can also store other data in Velpic using custom fields in the same way we added a stemsid field. 4. Click Export to Excel on the top right. 5. We need to split the full name into a first and last name for Velpic. To do this I am going to use Google Sheets but you can also use Excel. 6. 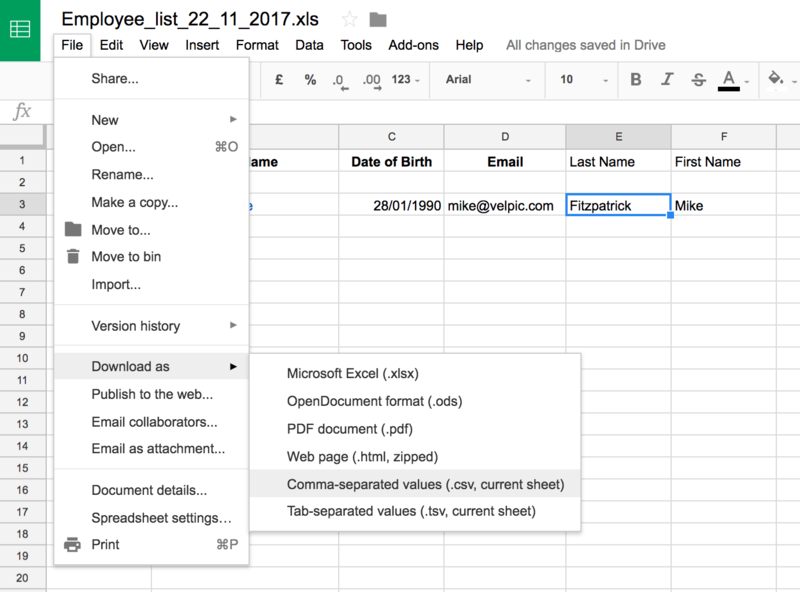 Drag the Export into Google Drive then right click on it > Open With > Google Sheets. 7. Remove the columns you aren't interested in. 10. Export the spreadsheet as a CSV by going to File > Download as > Comma-separated values. Our users are now ready to be imported into Velpic. 1. 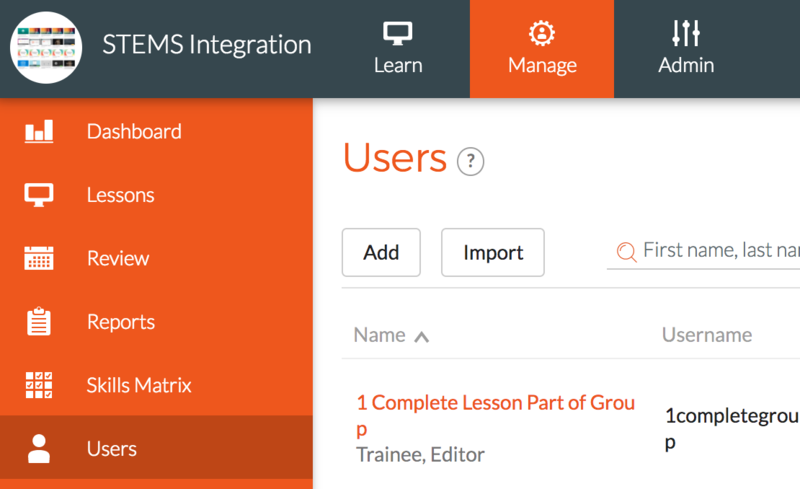 To import your Stems users into your Velpic account, go to Manage > Users > Import. 2. You can then follow this help document to import users. 3. When you get up to mapping values make sure to map the System Id to the Stems id field we setup earlier.